Gonzales High School Band to perform with Monterey County Pops! 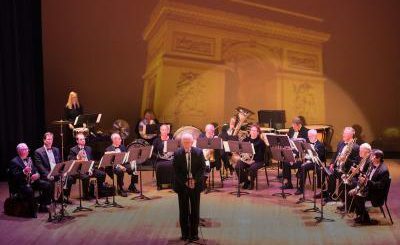 – Monterey County Pops! Music is alive and well in the Gonzales Unified School District! On Friday, October 26th, 20 professional musicians from Monterey County Pops will travel to Gonzales to conduct musical workshops with the Gonzales High School band students. 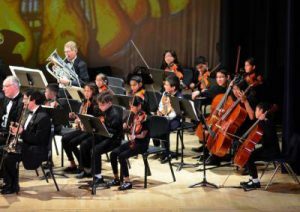 Following the two-hour workshops, the students will perform with the Monterey County Pops for a free concert at Gonzales High School at 6:30pm. The free concert will showcase the 40-member Gonzales High School Band, under the leadership of Tyrone Green, performing “Start Spangled Banner”, highlights from “The Wizard of Oz”, and “The Little Shepherd’s March”. Gonzales High School vocal students under the direction of Thomas Cee will perform two specially arranged pieces by the Monterey County Pops for this performance, “De Colores” and “Cielito Lindo”. 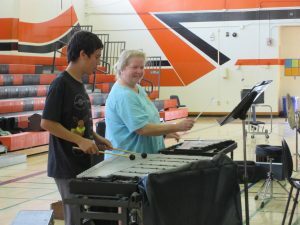 “It’s incredible to see this kind of enthusiasm for music in our schools,” says Monterey County Pops! Director Dr. Carl Christensen. “We had the pleasure of working with the Gonzales High School band last year for the first time, and we are excited to make this an annual collaboration”. The 40-member band consists of woodwind, brass, and percussion instruments. 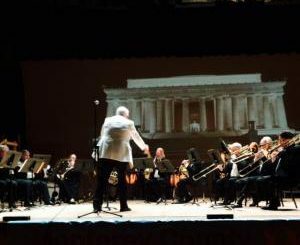 This free Community Concert at Gonzales High School on October 26, 2018 at 6:30 p.m. will include the Monterey County Pops! performing traditional favorites such as Tailgate Ramble, Bill Bailey, and Basin Street Blues. There are no tickets required, and doors will open at 6:00pm. Gonzales High School is located at 501 5th St, Gonzales, CA 93926.